The Mopar Buzz Wheel in Satin Carbon Finish will fit both the Jeep Wrangler JK and JL. Engineered in a 5X5 bolt pattern. 17x7.5 inch size, and includes a matching center cap. 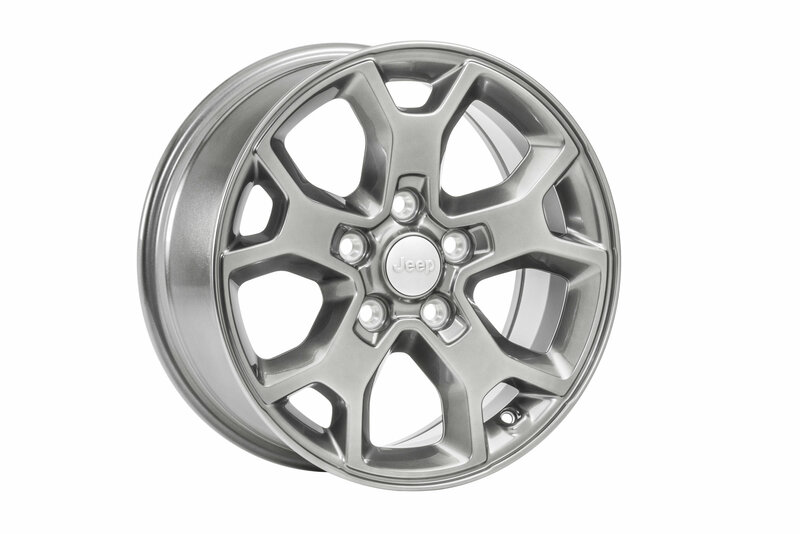 A factory original wheel that is clean yet stylish and built for lasting quality. Lug nuts and valve stem are sold separate. Sold Each. Size - 17 x 7.5"
Fits wheel stud size - 14mm & 1/2"
Bolt Pattern: 5 on 5"